The part(s) or condition(s) listed below for the symptom Washer won't spin or agitate are ordered from most likely to least likely to occur. Check or test each item, starting with the items at the top of the page. One of the drive belts might be defective. Over time, the drive belt can dry out and start to crack or burn. Eventually, a piece of the belt can break off, causing the belt to make a loud noise whenever the motor is running. To determine if the drive belt is broken, inspect the drive belt. If the drive belt is broken or damaged, replace it. The door latch secures the washer door shut during operation. 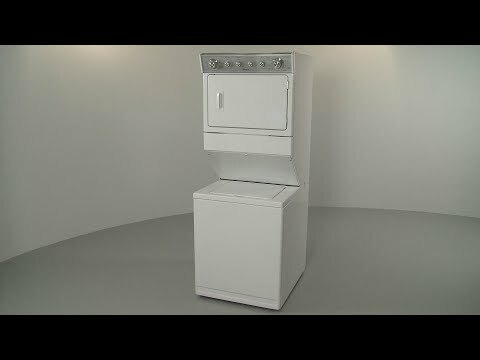 Once the washer door is closed, the washer can begin operating. If the washer door is not latched shut, the door switch will prevent the washer from operating. If the door latch is defective, the washer will not spin or start. The door latch can fail either mechanically or electrically. Inspect the door latch for damage. If the door latch is damaged, or does not close properly, replace it. To determine if the door latch has failed electrically, use a multimeter to test any switches on the door latch for continuity. If one of the switches does not have continuity when activated, replace the switch. The door lock secures the washer door shut during operation. Once the washer door is closed, the washer can begin operating. If the door lock is defective, the washer door will not latch properly. The door lock can fail either mechanically or electrically. Inspect the door lock for damage. If the door lock is damaged or does not latch properly, replace it. To determine if the door lock has failed electrically, use a multimeter to test each of the door lock switches for continuity. If one of the switches does not have continuity, replace the switch. The washer transmission might be worn out or defective. Transmissions have gears in them that can fail causing the washer to not spin or agitate. However, this is almost never the case. Before replacing the transmission, first check all of the other components in this troubleshooting guide. If the motor is turning the transmission, but the washer won’t spin or agitate, consider replacing the transmission.